Jen Mason, a Vail Town Council member and long-time Vail Valley Foundation standout, is taking over the helm of the Colorado Snowsports Museum in January with the retirement of current executive director and former council member Susie Tjossem. 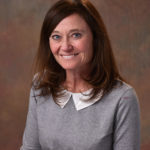 VAIL, Colorado—The Colorado Snowsports Museum and Hall of Fame will undergo a changing of the guard at the outset of 2019 as Jennifer Mason, Director of the Gerald R. Ford Amphitheater and Operations for the Vail Valley Foundation, will take on the role of Executive Director with the retirement of longtime Museum Director Susie Tjossem. Jen will begin her new responsibilities in January. Mason has served in numerous key positions for the Foundation over the course of her 18-year tenure, since joining the nonprofit organization in 2001 as the House Manager for both the Gerald R. Ford Amphitheater and the Vilar Performing Arts Center. She currently serves as one of the organization’s Operations Directors, in addition to leading the day to day operations of the Ford Amphitheater. Tjossem has served as the Museum’s Executive Director since 2007, working tirelessly to enhance the organization’s presence throughout the state. She recently spearheaded the facility’s $2.5 million transformation, taking the project from inception to completion. Prior to her 12-year tenure with the Museum, Tjossem served as Vice President of Sports and Recreation for Vail Resorts before joining Booth Creek Ski Holdings, designing resort products and services for Northstar, Telluride and other resorts. In addition to her regular Foundation responsibilities, Mason was the lead VVF staff member for a trio of committees for the 2015 FIS Alpine World Ski Championships, while also coordinating Opening and Closing Ceremonies, along with the 22 Award Ceremonies during the Championships. In this role, she managed three budgets totaling over $5 million. She was elected to a four-year term on the Vail Town Council in 2015, following her first run for public office. Located atop the Vail Village Parking Structure, the Colorado Snowsports Museum recently underwent a $2.5 million complete transformation. The newly remodeled facility features six primary exhibits, enhanced with interactive screens, showcasing and chronicling the rich history and heritage of the Colorado ski and snowboard industry. These exhibits include the 10th Mountain Division, Skiing Through Time, the History of Colorado Snowsports Competition, the Evolution of Snowboarding in Colorado, Colorado’s Ski Resorts and 100 Years of Ski Fashion and Function, in addition to the Colorado Snowsports Hall of Fame. Guided tours and presentations are available several days a week, while the Museum Gift Shop offers a wide variety of unique vintage ski, 10th Mountain Division and Colorado souvenirs and gifts. For additional information on the Colorado Snowsports Museum, please visit www.snowsportsmuseum.org.